Sporting Gijon defender Jorge Mere has emerged as a surprise target for Chelsea ahead of the summer transfer window. According to the football transfer rumours in Spanish Media, Chelsea are linked with Sporting Gijon defender Jorge Mere. 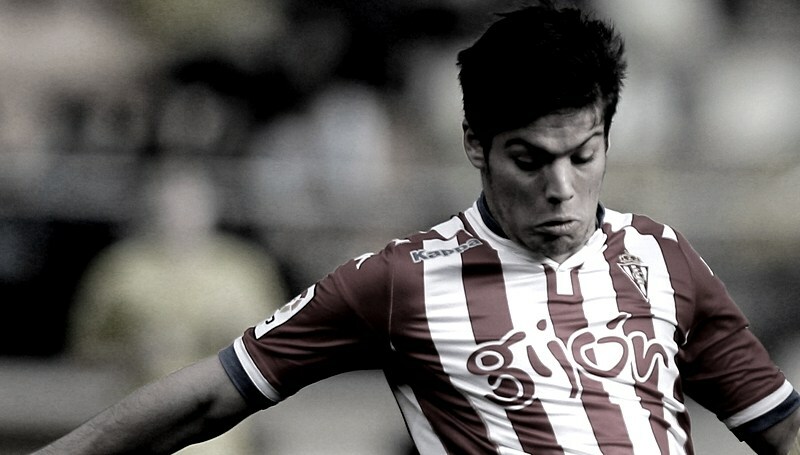 The Spain international has joined Sporting Gijon from Sporting Gijon B in 2015. The 19 year-old has a valid contract with Sporting Gijon until June 2020. Jorge Mere has played 56 games for Sporting Gijon in all competitions. The 19-year-old is considered to be one of the most talented defenders in Spain. Jorge Mere has represented Spain at Under-17, Under-18, Under-19 and Under-21 level, winning 37 caps and scoring two goals. The Spain international is a player who has impressed many European clubs in the last two seasons, and it is understood that Chelsea manager Antonio Conte would prefer playing him as a central-defender. Mere would be perfect competition for David Luiz, Gary Cahill and Kurt Zouma next season. Euro Football Rumours understood that if Sporting Gijon are relegated from La Liga this season the Spanish club will allow transfer for a price lower than his current release clause which is in the region of 29 million euros.